Our mid-sized Blackfell rucksack with a 35-litre capacity and a hydration reservoir. 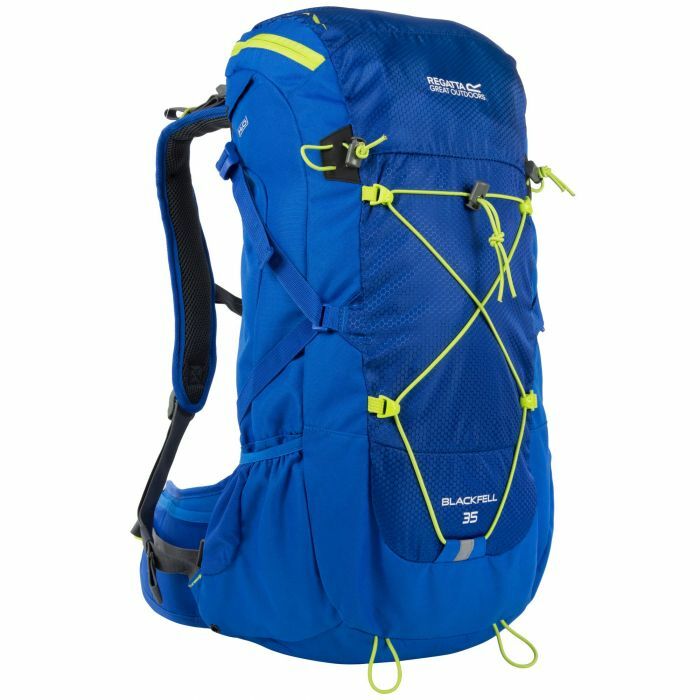 Built for overnight trips or longer hikes and walks. Made from tough-wearing ripstop fabric with a supportive steel and mesh suspension frame to comfortably distribute weight. The packs hugs the body with two air mesh shoulder straps, an adjustable chest harness and stabilising hip belt. Belongings are organised with water bottle side pockets, a secure zipped lid pocket and front bungee storage strap (ideal for wet jackets). The detachable rain cover provides reliable weather protection. With a reflective trim finish.